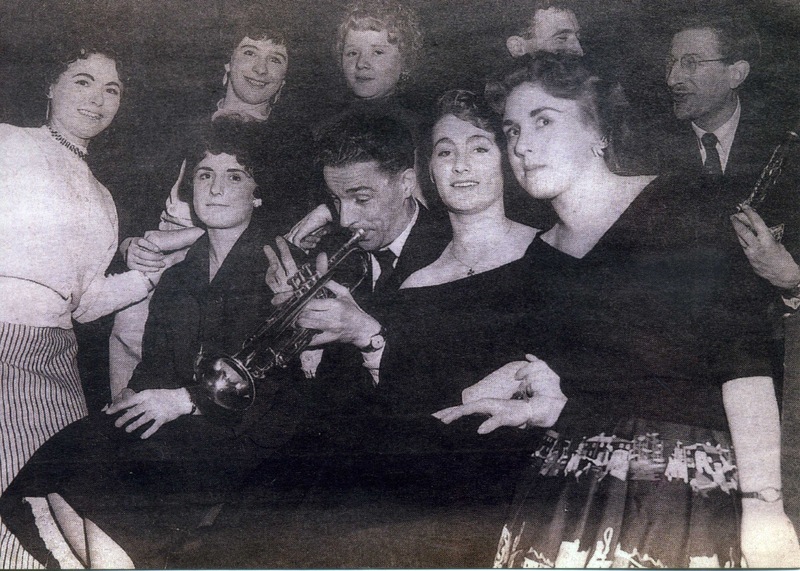 The Bernicia Jazz Band went into the same studios on March 25, 1952. Hughie Aitchison (tpt); Ronnie Allen (McLean under a pseudonym? tmb); Brian Clark (clt); Arthur Robson (pno); Alan Brown (gtr); Ray Jobling (bs); Ken Redman (dms). This was a stormer - the Spanier Ragtimers ride again! Hughie, by this time, was Muggsy and Muskrat Ramble, Apex Blues, Bluin' the Blues and Trouble in Mind had never sounded so good on this side of the Atlantic - or at least on this side of the Tyne! Trouble in Mind had a vocal by Ray Jobling - Jobber! I had the privilege to work with Ray many years later. He was a fine southpaw bass player, a founder member of the Panama Jazzmen and no mug with a shotgun either! Doesn't Hughie sound like King Oliver in his muted solo on Lonesome Road? Compare with Oliver's muted solo on "Sweet Like This" (1930).